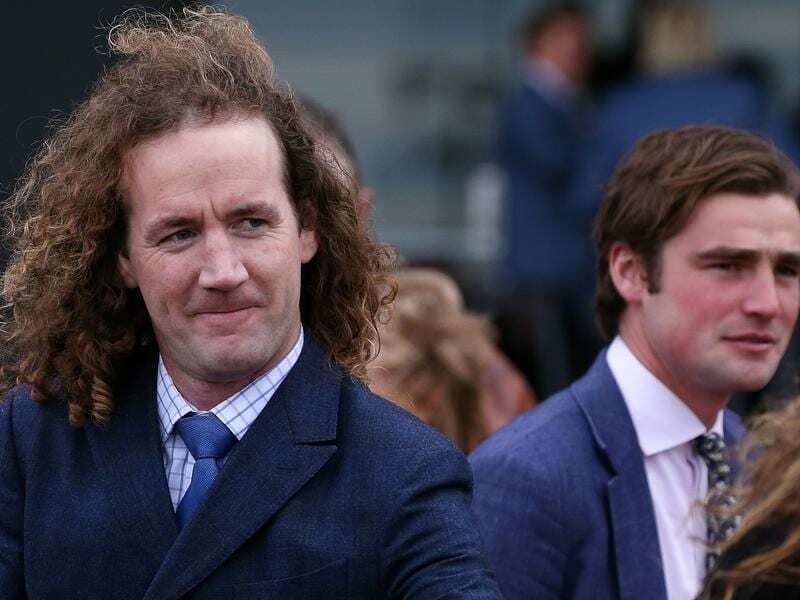 Co-trainers Ciaron Maher and David Eustace have Bons Away on target for the $500,000 Oakleigh Plate. Another crack at the Oakleigh Plate is in the plans for Bons Away who will be out to show he is on target for the Group One sprint when he makes his return at Caulfield. Bons Away resumes in Saturday’s Listed WJ Adams Stakes (1000m) which has attracted a strong field of eight including Group One-winning colt Written By and odds-on favourite Nature Strip. Five-year-old Bons Away finished a close fifth in the Group One Oakleigh Plate last year when he was first-up from a spell but his connections are taking a different path into the 1100m sprint this time. “He was only beaten about a neck in the Oakleigh Plate last year in a blanket finish,” co-trainer David Eustace said. “He was first-up that preparation and we just thought he would benefit from having a run under his belt (this time). Bons Away has trialled nicely in a jump-out at Caulfield last week when he and Written By cleared out from the rest of the field in their 800m heat. “It is going to be a very tough race on Saturday but we’d expect him to run well,” Eustace, who trains in partnership with Ciaron Maher, said. “He would probably find it hard to win but it is a prep run for the Oakleigh Plate and it is going to be three weeks into that. Written By, who is unbeaten at Caulfield from four starts, is on the same path as Bons Away and the Grahame Begg-trained colt will also be first-up on Saturday for his first start since finishing fourth in the Group One Coolmore Stud Stakes at Flemington in November. Along with Nature Strip and Written By, Bons Away’s Adams Stakes opposition also includes Group-winning colt Encryption, Group One-placed mare Missrock and last-start Kensington Stakes winner Belwazi.